Stored procedures implement Salesforce actions that cannot be represented as SELECT, INSERT, UPDATE, and DELETE statements. This article shows how to generate a schema for a stored procedure. You can use the schema to execute the stored procedure from a send port. Use the Add Adapter wizard to add the adapter to your project. The adapter will return metadata about the inputs of the stored procedure and its results. Right-click on the project in the Solution Explorer and click Add -> Add Generated Items. 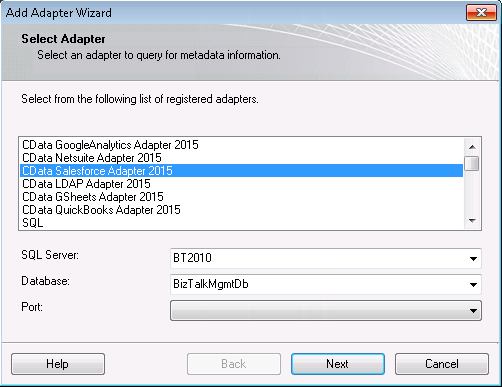 Select Add Adapter Metadata in the resulting dialog box. 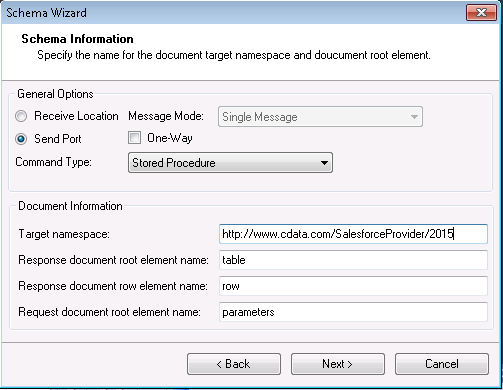 In the resulting Add Adapter wizard, select the CData BizTalk Adapter for Salesforce from the list. In the Port menu, leave the selection blank. Or, select a receive location or send port that has been configured to use the adapter. 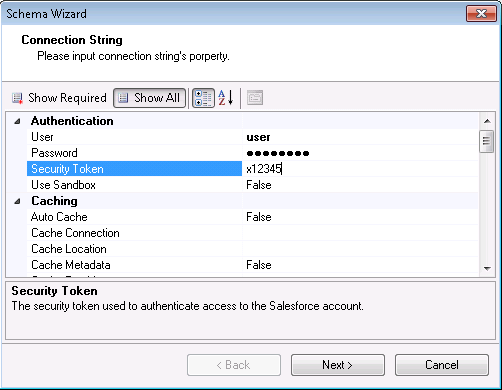 On the Connection String page, enter authentication credentials and other connection properties if they were not already configured in the receive location or send port. 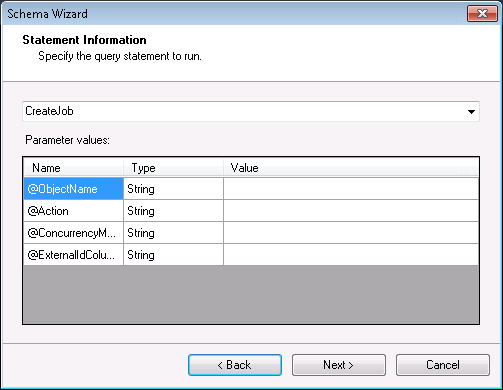 After you enter connection properties in the Add Adapter wizard, the Schema wizard is displayed. On the next page, Schema Information, select the send port that you have configured to use the adapter. If you have configured the adapter in a solicit-response send port, disable the One-Way option. In the Command Type menu, select Stored Procedure. Select the stored procedure from the menu and enter the values for the input parameters. Confirm the settings in the summary displayed by the wizard and click Finish to generate the schema.xsd file. To use schemas in a simple BizTalk application, see Tutorial: Create and Process Updategrams with the Salesforce BizTalk Adapter.